I am pleased with my first feature in Indonesia for Expression magazine. 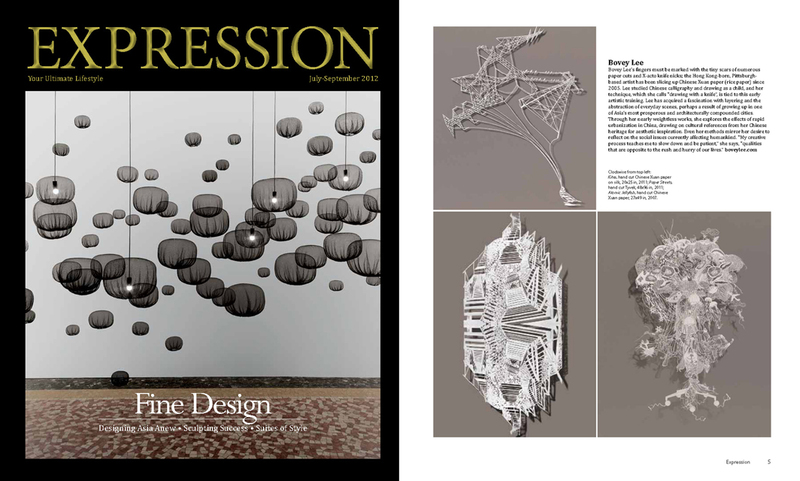 Expression is a special edition magazine for the exclusive members of American Express in Indonesia. This entry was posted in Media and press and tagged American Express, Atomic Jellyfish, bovey lee, Chinese paper cutting, Chinese rice paper, cut paper, eco art, environmental art, Expression magazine, Hong Kong, Indonesia, Kites, paper artist, paper cutout, paper cuts, paper cutting, paper streets, papercuts, X-acto knife, xuan paper. Bookmark the permalink.